Seven siblings were killed and their mother and teenage sister were critically injured when flames ripped through their large brick home in Brooklyn early Saturday in what officials are calling the city’s worst fire tragedy in years. 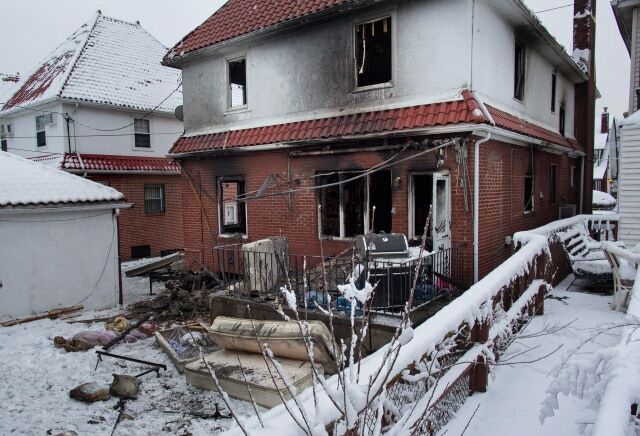 Three girls and four boys, ranging in age from 5 to 16, died after a hot plate warming food for the Jewish Sabbath malfunctioned and sparked a fire at the home on Bedford Avenue and Avenue M in Midwood at 12:23 a.m., according to FDNY Commissioner Daniel Nigro. There were no smoke detectors in the home, he said, and their mother and 14-year-old sister were only able to escape by jumping out of the second-story windows. The other children were all found in their bedrooms. One died at the scene, while the the others were pronounced dead at area hospitals. “This is the largest tragedy by fire the city has had in 7 years,” said Nigro, who was visibly shaken up at a Saturday morning news briefing. The children were identified as 16-year-old Elaine Sassoon, her 12-year-old brother David, 11-year-old Rivkah, 10-year-old Yeshua, 8-year-old Moshe, 6-year-old Sara and 5-year-old Yaakob. “It’s a tragedy for this family, it’s a tragedy for this community, it’s a tragedy for the city,” Nigro said. Nigro said the hot plate was left on apparently to warm food for the Sabbath. The family, like many others in the Midwood neighborhood, practiced Orthodox Judaism, which calls for no electricity to be used during the day. But appliances such as hot plates that are left on may be used without breaking religious customs. Firefighters were able to respond to the scene in about 3 minutes, Nigro said. The blaze went to two alarms, and more than 100 firefighters worked for hours to douse the flames and recover the bodies of the children. One firefighter was taken to the hospital with minor injuries. The mother and teen girl were both taken to the hospital where they remain in critical condition.